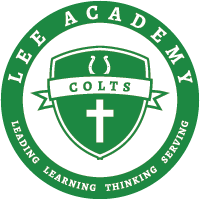 Booster Club meeting tonight at 5:15 in the Library at Lee Academy. Elks National Hoop Shoot November 14,15,16. Coahoma County Expo Center. 5:00For more information contact Franklin Johnson 902-9027. Spelling Bee practice in Mrs. Murphey’s room - Thursday after school. 10th-12th graders may sign up for the Christmas Dance with Laura Lee Chicorelli. Deadline to sign up is Monday, November 14. You and your guest must have a wristband. Wristbands are $15. Seniors must have your yearbook form and money turned in bytoday for your ad if you plan on purchasing one or you will not have an ad. Key Club monthly meeting will be held during student support today in Ms Hopkins room in the commons. Deadline to sign up for the December ACT is Friday. The test is December 10.